Of late I’ve found myself working with kids from some fairly tough backgrounds. Whether it’s kids who are wards of the state, living in temporary shelter, or kids in mainstream settings who don’t hold out much hope for their future, I’ve been keen to explore how Carol Dweck’s theory of Growth Mindset might apply to these young people. Incidentally if you’ve read Mindset or not, I’d highly recommend getting a copy of Dweck’s earlier work Self Theories, a series of essays that go into more detail regarding the research and – in my opinion at least – is a better read than her more well-known publication. 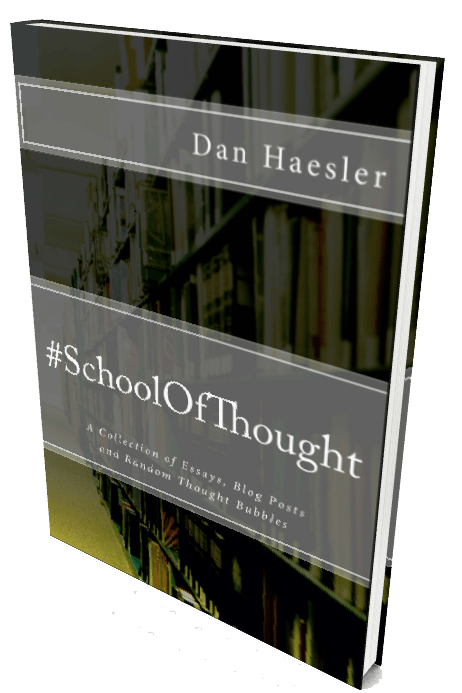 Anyhoo… just last week I had the opportunity to try something with a group of kids who attend a school that caters for those for whom the mainstream education system simply doesn’t work. Some of these students (currently all boys in Years 6-8) have severe behavioural issues, some have wellbeing issues and most have a combination of the two. I’m fortunate that I get to spend time with these boys on a semi-regular basis and so have been able to establish a bit of rapport with them. I then wanted the boys to reflect on this after playing… but first the set up! 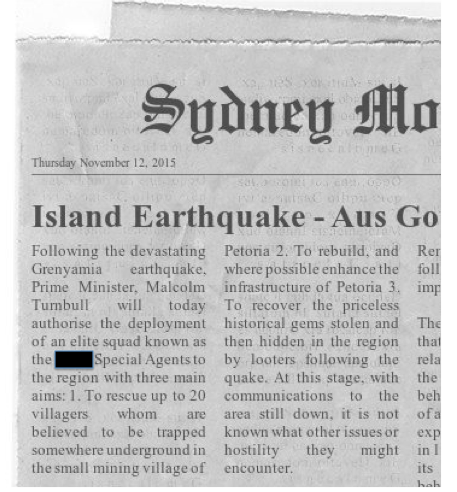 @eduGrunt, @nickpatsianas, @jeffkuhn72, @dbatty1, @jokay and @SteveT_AU for their input. 1 x TP-LINK N300 Wireless Modem Router TD-W8961N ($47) I’d originally planned to network through my 4g hotspot, but then got nervous thinking about risk assessments and kids finding stuff they shouldn’t online… So the router serves to act as a network between the tablets without allowing access to the net. In order to set up the scenario in Minecraft I built a world using a seed… a simple internet search will give you plenty. 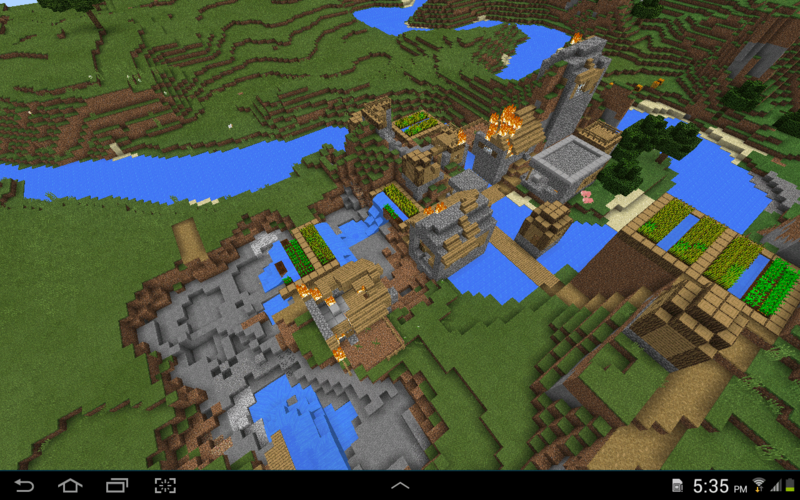 For those of you interested, I used the Minecraft PE Seed: -94440. In the full Minecraft game (on PC, Mac or Console) you can use xyz coordinates that allow gamers to know where they are within their world, but in Minecraft PE this isn’t the case. So I created a map – again by going into Creative mode and taking a Bird’s Eye View screenshot and then overlaying a grid. Students could work out the coordinates for the villagers and the gems by solving maths problems. Was it a resounding success? Let’s not go too far. It was after all a one-off session using the most basic version of Minecraft. I’m aware many of you will be using Minecraft Edu or the full PC-based Minecraft and as such will be doing much more advanced work. As well as working with the boys I ran the sessions to show the teachers the power of Minecraft – or games in general – in order to get students to address their behaviours and – more importantly – their thinking around their behaviours. The staff are now investigating how they might incorporate similar approaches down the track. But I am saying for some of these kids acknowledging they do exhibit these behaviours somewhere is an incredibly important first step. 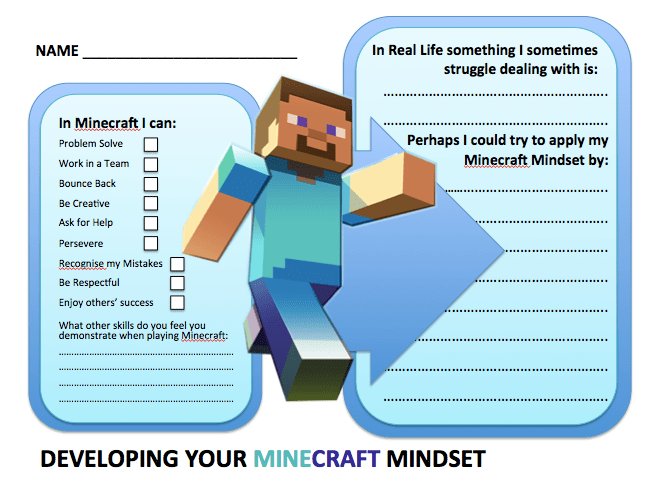 Demonstrating through Minecraft that they do exhibit the kind of Growth Mindset behaviours that Dweck talks about is – for some of the students – the first time they or anyone else have recognised they are capable of doing so. If you think this could be of value in you classroom, you can get all my resources for this activity here, meaning you can use the seed (-94440) along with the map I’ve produced, also please feel free to change up the reflection tool to suit your context. Would love to hear your thoughts, or other cool ideas you have for Minecraft or games in general! Thank you for this idea. Do you have other lessions to share?